Are you looking for some sparkle on your wedding day? One of the hottest trends this wedding season is sequins. 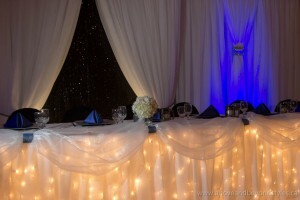 We work closely with our incredible suppliers that provide us with stunning sequins. 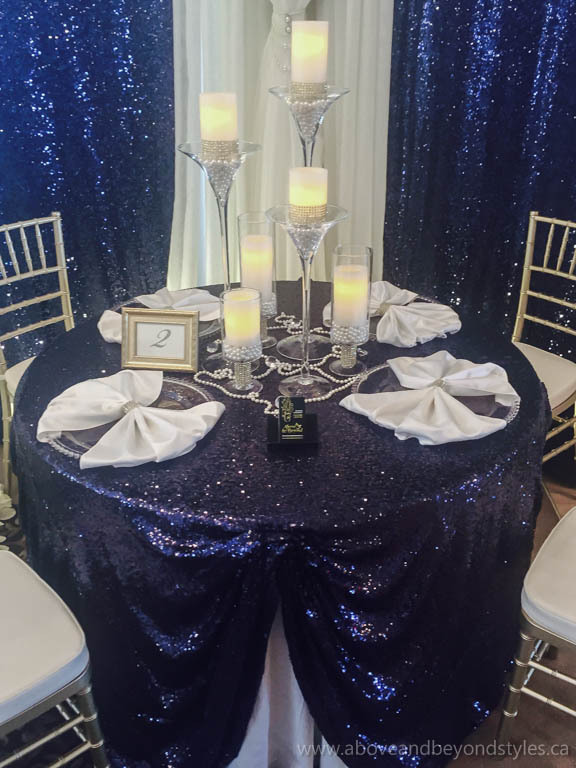 From backdrops to table runners and tablecloths, sequins can be used in a variety of decor elements. Sequins also come in many colours, including charcoal, blush, champagne gold, aubergine, silver, rose gold, and stunning black. 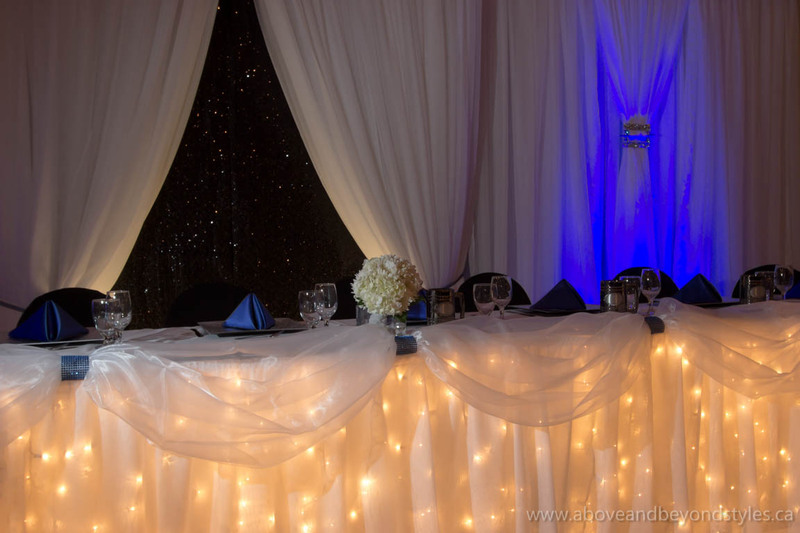 Above & Beyond will create a look that is sophisticated and glamorous while simultaneously tying in the rest of your decor. We recommend that couples do not put sequin tablecloths on all of the guest tables because these cloths are known for getting caught on dresses and leaving tears. 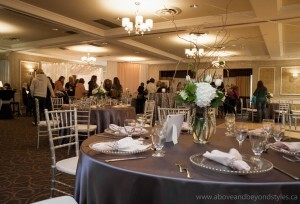 Instead, we suggest using sequin tablecloths on cocktail tables to compliment the satin tablecloths on your guest tables. Sequins can also be used for corporate booths in trade shows to attract potential clients to your booth. Above & Beyond takes pride in creating inspiring and eye catching designs that will ensure attendees will stop at your booth. You will be the star of the show when everyone is distracted by something shiny at your booth! For more information, visit our Corporate Decor page or Contact Us to set up a free no-obligation consultation.